Tell all your friends where you got your formatted resume for free and refer to your favorites or e-mail the page to them. Feel like downloading one--then click save--save in Desktop---same file name will work fine. Edit it later as you follow the advice on this website. This is a great resume example to use for editing yourself in word. Has a nice look to it. Also has a look of professionalism, but is not full of unwanted material that the managers simply do not want to look at. Make your experience stand out while you edit, so the hiring manager won't have to search around. When they first look at it, your want your qualifications to be defined in a 1, 2,3 presentation. 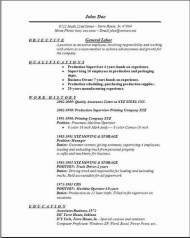 Once you edit this resume with your own information, you will have accomplished what you came here to do. It doesn't get any easier than this. Just open the template and start replacing the data with your job specifications. My goal is that you find these resume examples useful and then send your friends to help them out. The labor resume effect on number 3 was something I added so you would have more options to be noticed above your competition. Most people like background effects, I know I do. But it all depends on what job you are going after. You decide what is best for your needs. 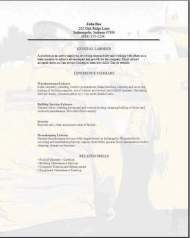 If you decide on downloading the labor resume with the background effect, let me know on the contact us page. I would love to hear any ideas you might have as to what I could add next to help you out even further. Good luck and don't pass up the free cover letter at the beginning of this page.